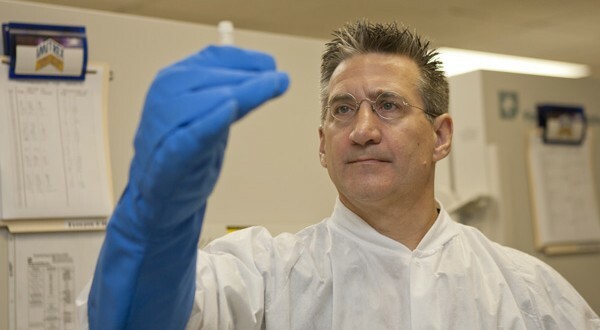 Dr. Brad Willcox, a leader in healthy aging research. Photo courtesy of the University of Hawaii. As a geriatrician, most of my time is spent attending to folks who suffer from the diseases of old age. Whether it’s heart disease, arthritis, cognitive decline, diabetes or macular degeneration, these are almost always chronic in nature. However, there’s a silver lining to this dreary cloud. Most of the afflictions I treat can be largely prevented by a healthy diet, exercise, and other lifestyle factors. Of course, not smoking and getting regular exercise is a big part of the equation. However, what I’ve learned from studying the long-lived Okinawans is that the right food can be a prophylaxis that can actually thwart illness. Consuming the right foods with the right micronutrients mitigates risk for age-associated disease by reducing oxidative stress, which is believed to be a principal mechanism of aging. If you can enhance anti-oxidative protection and inhibit free radical production, this goes a long way to protect against oxidative damage. What’s more, eating the right food can modulate the very rate of aging. What we’ve discovered is that certain micronutrients found in Okinawan sweet potatoes, turmeric, and marine-based carotenoid-rich foods, such as seaweeds and kelp, are particularly potent in this regard. In scientific terms these nutrients upregulate the FOXO3 gene – a major nodal gene in aging-related biological pathways, which is associated with disease prevention. So what should you be eating? Turmeric is one of nature’s wonder drugs. It’s consumed regularly by the Okinawans. If you follow the diet of the Okinawans you’ll see they consume a whole lot of vegetables but turmeric, sweet potatoes and other foods rich in marine carotenoids (found in local seaweeds, kelp and certain fish) are particularly important. The compounds in these foods that are especially potent in stimulating the healthy aging process include anthocyanins (in sweet potatoes), curcumin (in turmeric) and astaxanthin (found in marine-based foods and algae). Getting these three compounds from your food is easy. Okinawan sweet potatoes and turmeric can be found in many super markets. Getting a healthy dose of astaxanthin can be obtained by eating salmon and other seafood with a pink coloration such as shrimp. You can also purchase astaxanthin as a supplement. It’s manufactured from algae on the Big Island by a company called Cyanotech but it’s not cheap. A Honolulu bio-pharma company, Cardax Inc has discovered how to directly synthesize an exact molecular copy of the natural astaxanthin compound found in salmon and other seafood products. The launch of this product is expected by Wall Street analysts later this year. The good news is that eating your sweet potatoes, turmeric and astaxanthin really works. Our data show that Okinawans eating a traditional diet, gained an additional 6% survival time from age 65 (1.3 years) versus other Japanese and an additional 20% survival time (3.6 years) versus Americans. Most notably, Okinawans gained almost a decade of additional disability-free life expectancy compared with Americans. 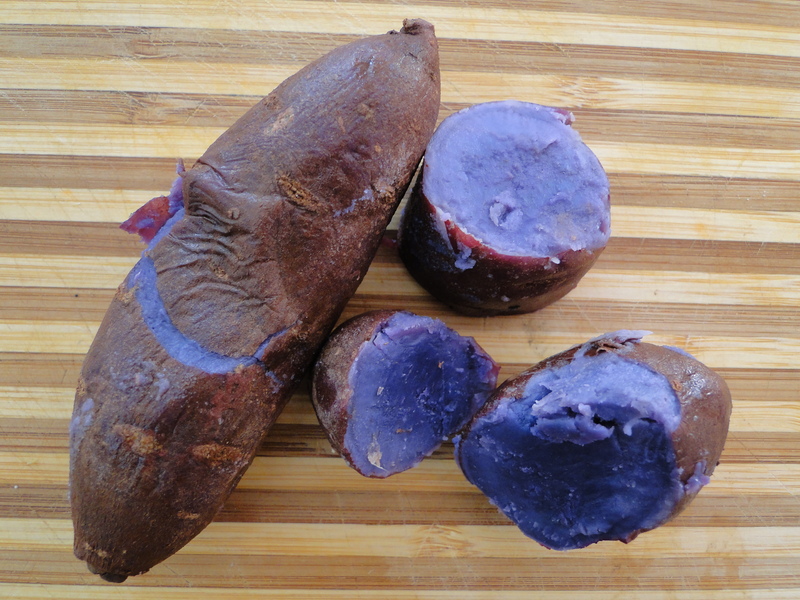 The Okinawan Sweet potato is chock full of phytonutrients that will help you live better and age longer. What’s of particular of interest to me as a gerontological researcher is astaxanthin’s ability to beneficially activate a variant of the FOXO3 gene which is strongly associated with human longevity. Astaxanthin, along with other marine carotenoids such aspolysaccharide fucoidan, xanthophyll fucoxanthin have some amazing qualities such as.inhibiting cancer growth, fostering reduction in bad cholesterol and lowering triglycerides. In a sense these compounds trigger our biological systems into mimicking an ancient survival mechanism called caloric restriction. Caloric restriction has been unequivocally proven to make organisms live longer. It sounds counter-intuitive but the less you eat (up to about 30% less than usual calories), the longer you live, as long as you maintain a diet adequate in micronutrients. A diet that contains compounds that turn on caloric restriction biological mechanisms may also make you live longer and healthier. In other words, if you can turn on the same genes that caloric restriction activates through consumption of dietary compounds that mimic caloric restriction’s biological effects (“CR mimetics”), you may get the benefits of caloric restriction without the deprivation. Our studies and those of others have shown strong support for this. We’ve found that Okinawans eating a traditional diet, gained an additional 6% survival time from age 65 (1.3 years) versus other Japanese and an additional 20% survival time (3.6 years) versus Americans. Perhaps most notable is that Okinawans gained almost a decade of additional disability-free life expectancy compared with Americans. 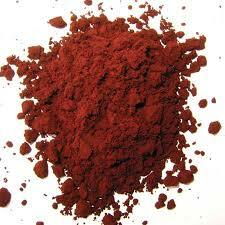 Powdered natural astaxanthin is grown in limited supplies. Cardax, a Hawaii company, is synthesizing this compound so it can be produced in unlimited amounts. The shorthand is that by stimulating the FOXO3 gene with the right foods and phytonutrients, odds are you will live longer and healthier. We’re still early in the stages of research but evidence is very promising. We’re proving scientifically that the Okinawan expression nuchi gusui, ‘food is medicine’ is not just some meaningless platitude. My suggestion is to follow the lead of the Okinawans. Eschew the apple a day and make it a sweet potato! Author of the NY Times best-selling book on healthy aging, The Okinawa Program, Dr. Willcox is Professor and Director of Research, at the Department of Geriatric Medicine, John A. Burns School of Medicine, University of Hawaii; an Investigator, Honolulu Heart Program, Kuakini Medical Center; and a member of the Scientific Advisory Board of Cardax. Inc.